AUTOPTIC is next weekend! PODCASTING now!!! 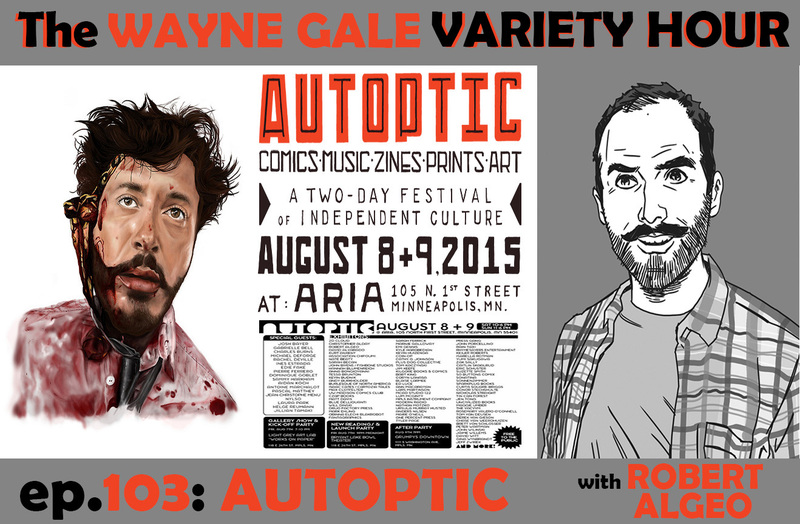 AUTOPTIC–the 2 day festival of Independent culture on AUGUST 8th and 9th–is next weekend! If you don’t know what that means–On the 103rd episode of the WAYNE GALE VARIETY HOUR podcast DANNO KLONOWSKI is joined by cartoonist, sequential art instructor, and festival co-organizer ROBERT “BOB” ALGEO to explain all! We get into what the event is, how it differs from what your idea of a comic convention is,and have an overview of the special guests and exhibitors. DANNO and BOB also pick an Autoptic exhibitor highlight in Autoptic’s own self-defined mission statement topics of: COMICS, MUSIC, ZINE, PRINTS and ART! ….And BOB has to take a spelling test. We’ll be in the lower level print room at the metal tables. Acclaimed cartoonists Marc Bell (Stroppy) and Anders Nilsen (Poetry is Useless) will be at Magers & Quinn Wednesday July 8th, reading from and signing their new Drawn & Quarterly books! 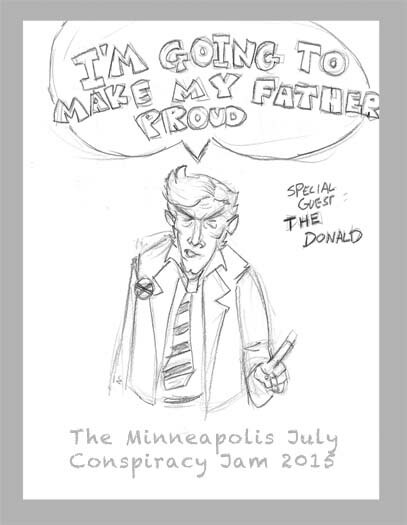 Marc Bell will be discussing his first full-length graphic novella, Stroppy, which paints a strange and wordplay-loving world in which the titular hero hopes to win big in a songwriting contest organized by the All-Star Schnauzer Band. 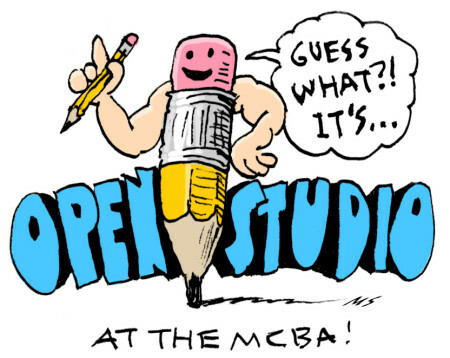 Mishap and hilarity ensue as Bell explodes the divide between fine art, doodling, and comics. Anders Nilsen will talk about Poetry is Useless, an expansive, beautifully-packaged collection of his sketchbooks. Poetry is Useless is part travelogue, part commentary on politics and culture, and part conversational ping-pong match. Anders Nilsen is an award-winning cartoonist and visual artist. He is the author of several books, including Don’t Go Where I Can’t Follow and the magnum opus Big Questions, for which he was awarded the 2012 Lynd Ward Graphic Novel Prize by the Pennsylvania Center for the Book and was nominated for the top prize at the Angoulême International Comics Festival. Nilsen has exhibited his drawing and painting internationally. He lives and works in Minneapolis. 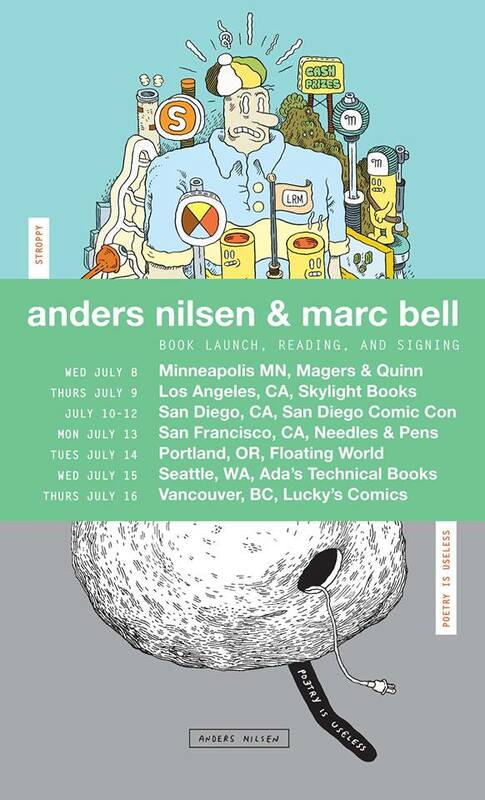 Marc Bell and Anders Nilsen are hitting the road next month in support of their brand new D+Q books! Anders Nilsen will talk about Poetry is Useless, an expansive, beautifully-packaged collection of his sketchbooks that is part travelogue, part commentary on politics and culture, and part conversational ping-pong match.